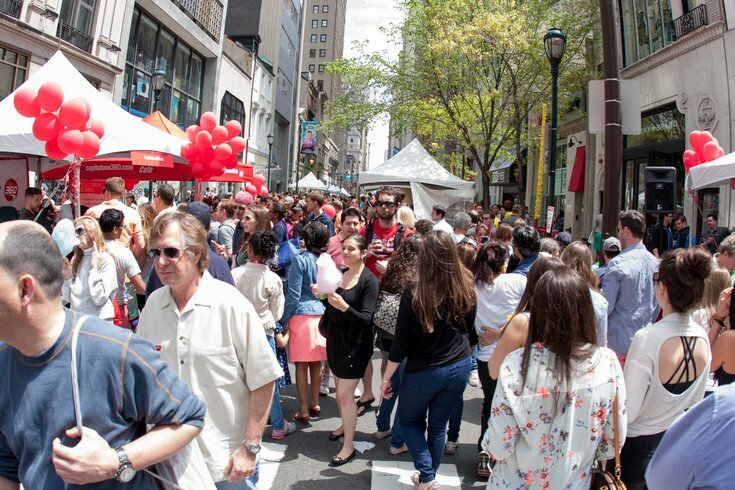 The Rittenhouse Row Spring Festival. Here's hoping the weather for Saturday, May 2 is beautiful. The day includes the Phoenixville Food Festival, the South Street Spring Festival, WayGay Women's Field Day, Dirt Day and the Peddler's Village Strawberry Festival. It also includes the Rittenhouse Row Spring Festival which will fill the square with over 100 booths of food, drink, craft and art vendors plus live entertainment. Area favorites like HipCityVeg, Flywheel, Capogiro, South Moon Under, Sbraga and more will all have booths. Between all the choices, culinary demos, food and drink samples, shopping, live music and street cafes will be available. Companies like Peroni, Capital One and Comcast will have their own experiences set up, plus a family area by Philadelphia magazine and a full block of Stephen Starr restaurant experiences at 18th and Walnut will be open. Though we'll cross our fingers for a sunny day, this event will go on rain or shine.